We automatically upgrade our Cloud service with each new release so you can take immediate advantage of all the cool new features we’ve added. 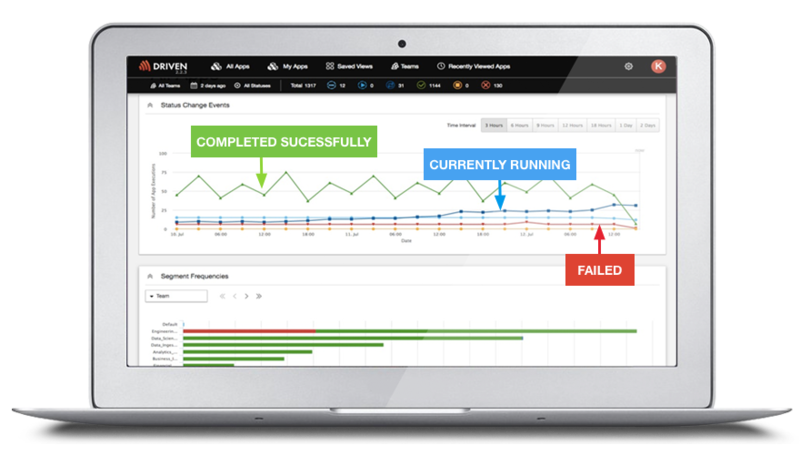 All you have to do is configure and deploy the Driven Agent and see your applications light up in Driven Cloud. Multiple teams on one shared platform creates security and performance issues. Our ability to categorize applications and securely segment data by teams quickly brings order to the chaos of managing a multi-tenant platform. In 2-min, watch a demo of the key capabilities of DRIVEN, APM for Big Data applications. See how you improve the quality and reliability of the applications you develop and deliver operational excellence to the business for all your Big Data applications.